Mar 30th 2019 @ Toy and Model Museum. The Toy Museum Folk Club is Brighton's newest traditional folk night, bringing the very best acts to the unique setting of Brighton Toy and Model Museum. Come and watch intimate acoustic sets from the finest folk talents, and explore the train sets, model planes and traditional children's toys on display in the museum. Hailing from Aberdeenshire, Iona Fyfe has fast marked herself out as one of the finest Scots folk singers around. 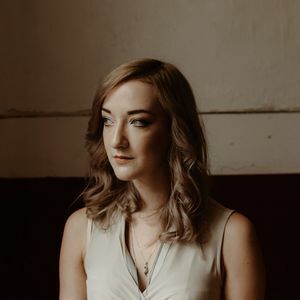 Her debut album, Away From My Window, is a bright and irresistible collection of songs brought to life by Iona's distinctive and unparalleled vocal. It's clear to us that before long Iona will be one of the most in-demand folksingers in Britain. This is a chance to catch Iona in a unique venue, playing her music to an intimate audience of fans, vintage stuffed toys and model trains! Support comes from English singer-songwriter Thom Ashworth, who combines innovative musicianship and one of the most distinctive folk vocals with his love of trad music to create an unmissable live experience.